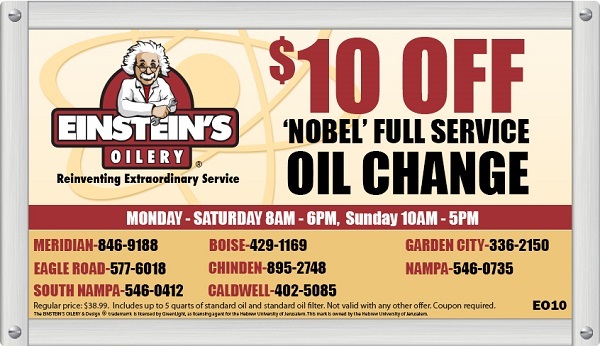 Get $10 off any oil change this week with our online coupon! Access your printable coupon here: OIL CHANGE COUPON or simply present the above coupon on your smartphone at the time of service. While you're at it, take advantage of Einstein's matching funds to double your donation to St. Jude Children's Research Hospital! During the month of November we're matching all customer and employee donations to St Jude's 100% up to $10k! Donate at any Einstein's Oilery location today. Happy Thanksgiving Treasure Valley!